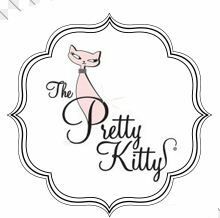 Pretty Kitty Waxing Salon in San Diego, CA offers a full service menu of waxing services including Brazilian waxing, eyebrow waxing, bikini waxing, and men's waxing. In addition to our waxing services we also offer waxing packages to fit your needs. Our waxing salon in Pacific Beach uses soft wax instead of hard wax which minimizes pain and is more efficient and gentle on your skin. All of our estheticians are extensively trained and skilled to make your waxing experience a pleasant one. Because of our high standards, attention to detail, and excellent customer service, we have been able to rapidly expand into multiple territories in San Diego and across the country. We invite you to ""Experience the Difference"" and we hope to see you soon.